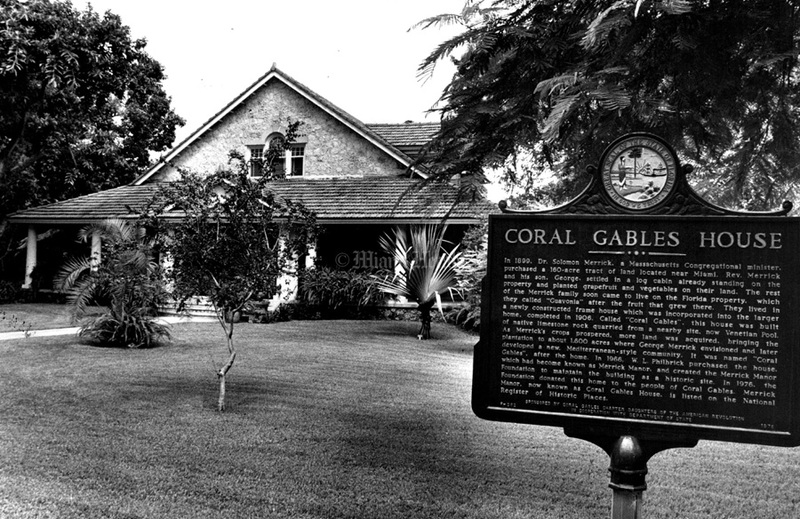 Coral Gables is well-known for its many historic landmarks and as the first municipality in Miami-Dade to pass a historic preservation ordinance in 1973. City founder George Merrick carefully planned and designed his dream village in Mediterranean style with elegant plazas, fountains, entrances and public buildings. 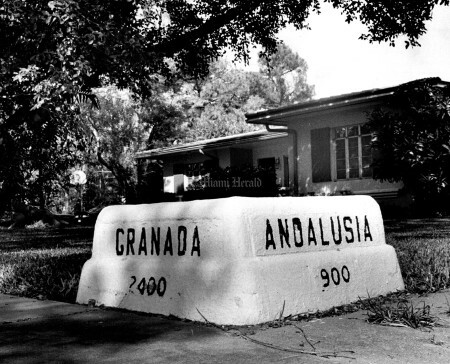 His creation was a major real estate attraction during the 1920s. 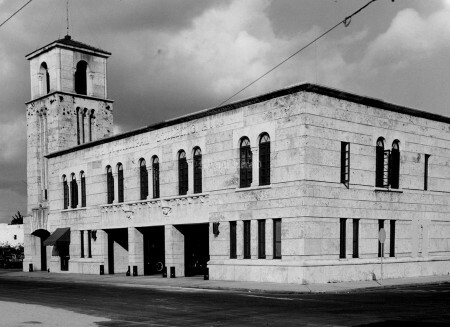 The city was founded in 1925, in the midst of the Florida land boom. It was laid out with a commercial district, industrial area, the grand Biltmore Hotel and a surrounding golf course. 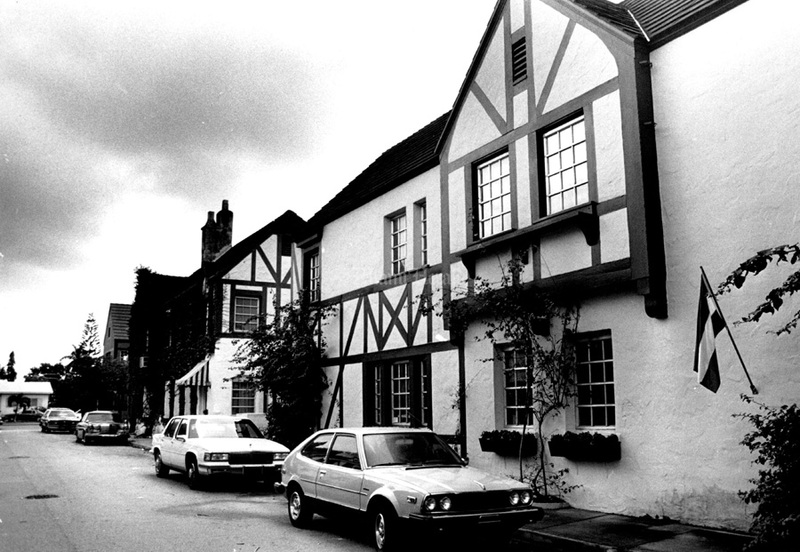 Merrick also added seven residential villages for a little architectural diversity, each named for their style: Colonial, Chinese, French Normandy, French City, French Country, Italian and Dutch South African. 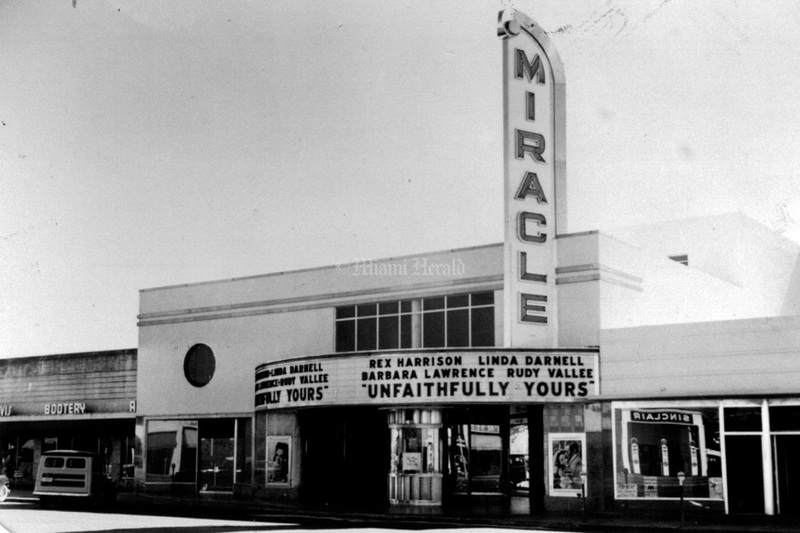 Today, Coral Gables remains carefully preserved in the midst of a construction boom that has impacted both the commercial and residential areas. 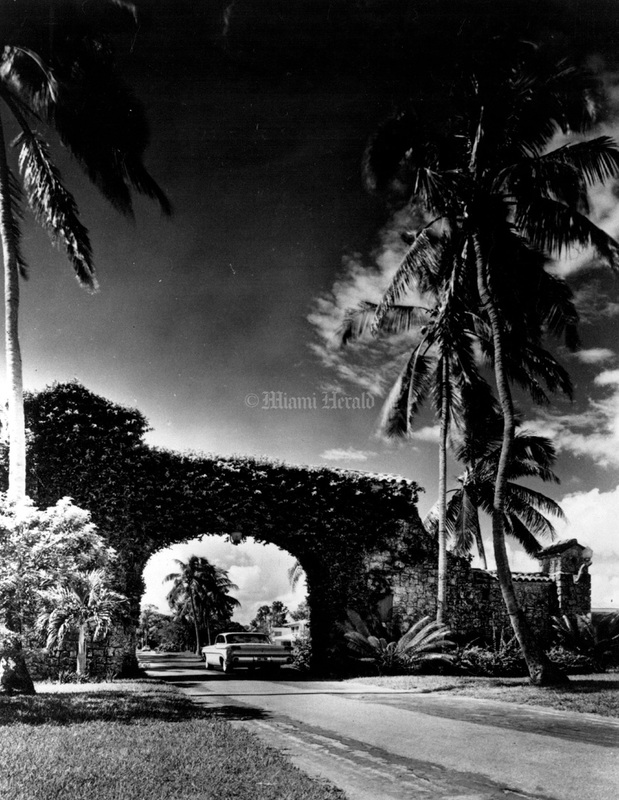 7/31/1951, John Walther/Miami Herald Staff: Coral Gables Woman's Club. 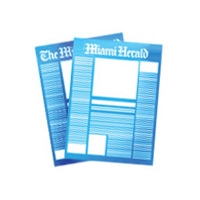 2/23/1968, Bob East/Miami Herald Staff: Coral Gables High. 6/20/1959This Is What Gables Presbyterian Church will look like...cornerstone to be laid Sunday afternoon. 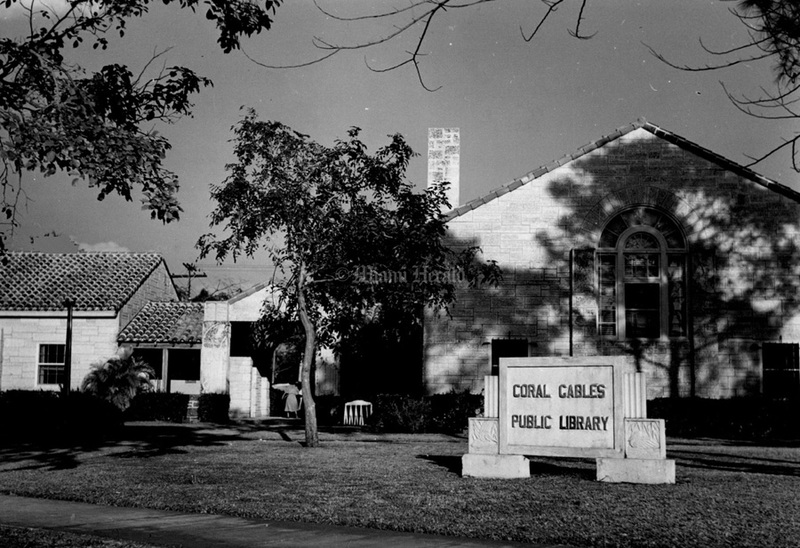 10/6/1935: Coral Gables Elementary School building. 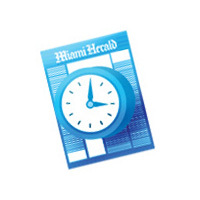 7/16/1990, Marice Cohn Band/Miami Herald Staff: Hotel La Palma. Chef Jean -- Claude Plihon at Vintons restaurant in the Hotel La Palma. Looking out of garden area. 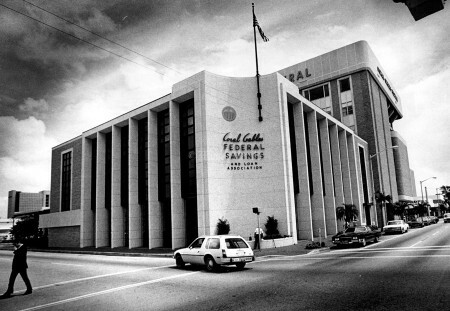 4/2/1978, Joe Rimkus Jr/Miami Herald: Old Coral Gables Fire Station. 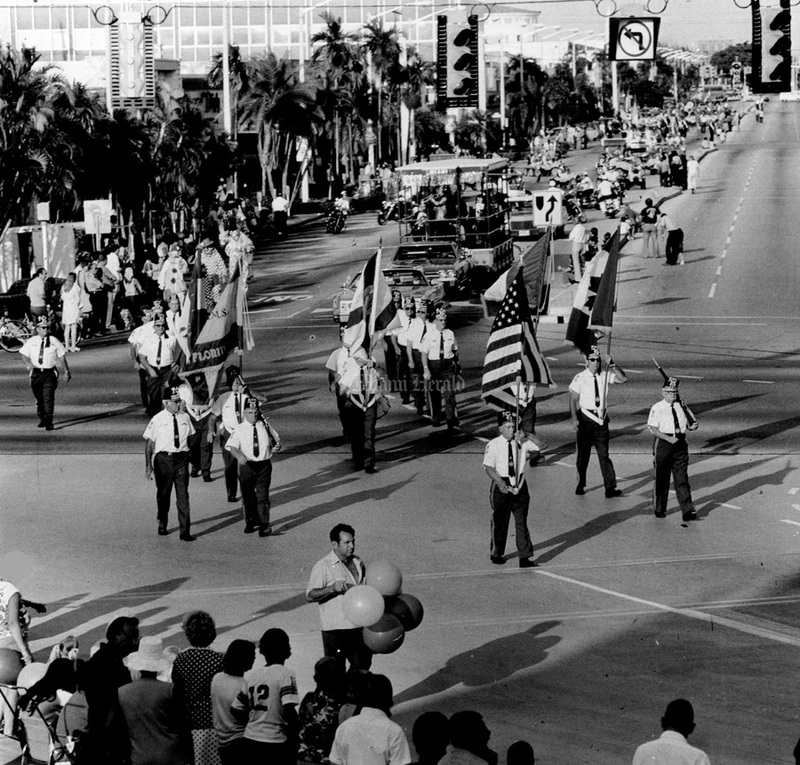 12/9/1962: Coral Gables High Band of Distinction - William Ledue Conducting. 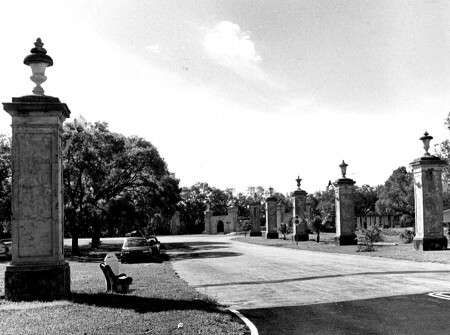 6/15/1990, Candance Barbot/Miami Herald: Oak Tree Canopy on Santiago street in Coral Gables. 4/12/1942: While Granddaughter Rosalie Chapman fishes Mrs. C.R. Chapman of Columbus, Ohio, and Billy, the English bulldog, enjoy the scenery east of the Coco Plum Plaza bridge. The city of Coral Gables has spent $30,000 depening the waterway channel to eight feet and extending it a mile into the bay. The city recovered $11,000 by selling the dredged material for fill. 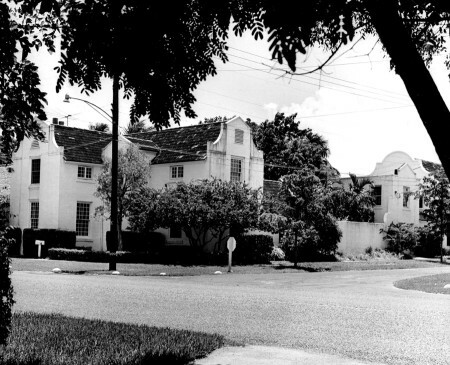 5/11/1954: Coral Gables--Looking west on Coral Way. Undated: The Bilmore Hotel near the University's Anastasia Building in Coral Gables. 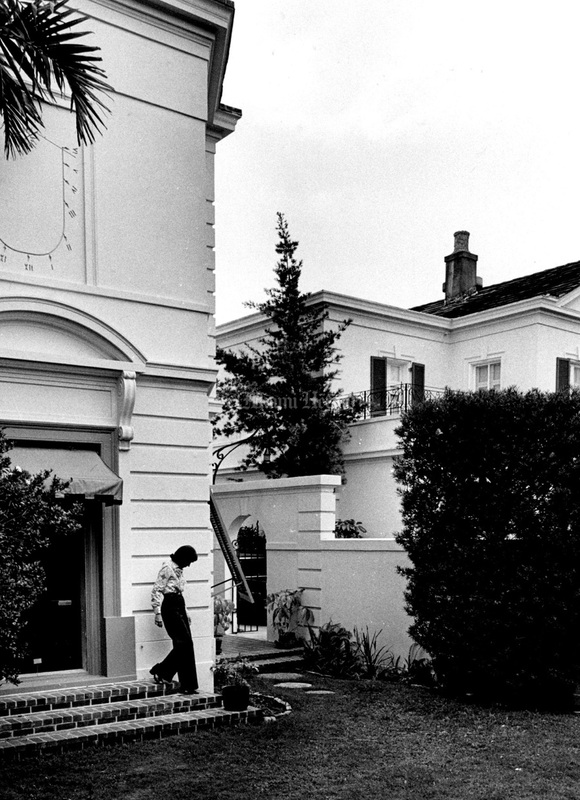 9/29/1982, Albert Coya/Miami Herald: George Merrick's home in Coral Gables. 4/20/1978, Joe Rimkus Jr./Miami Herald: Coral Gables Federal Savings and Loan Association on Ponce De Leon. 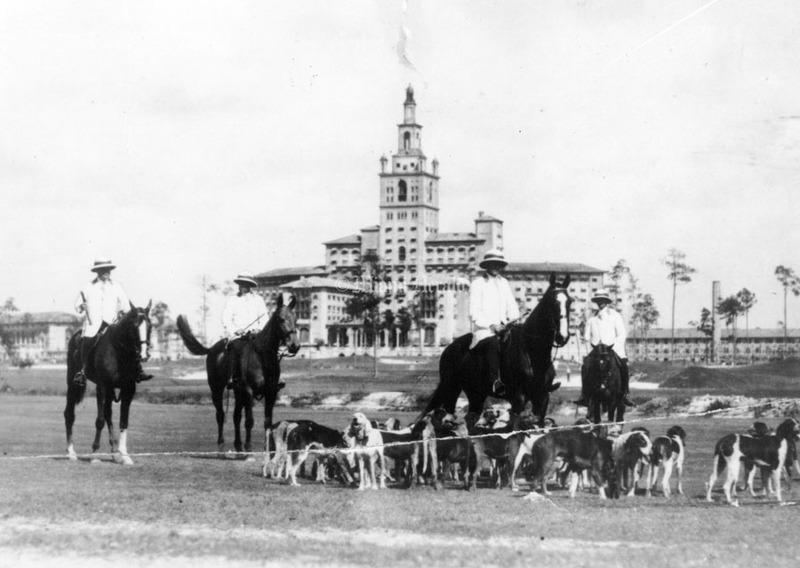 1920's: The Hounds and the hunters are ready for the foxes in this rare old photograph taken at The Biltmore Hotel in Coral Gables during the 1920s. The foxes, imported from Europe for the hunts, have become permanent residents of the Gables and are often spotted in cemeteries and other less - populated areas. 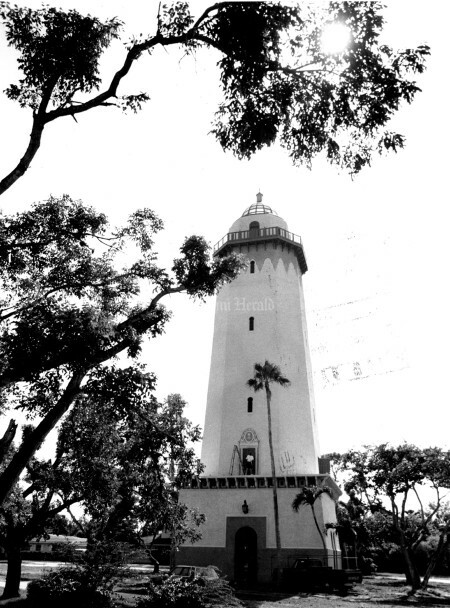 8/2/1993, Al Diaz/Miami Herald Staff: Historic water tower is going through lengthy restoration project. 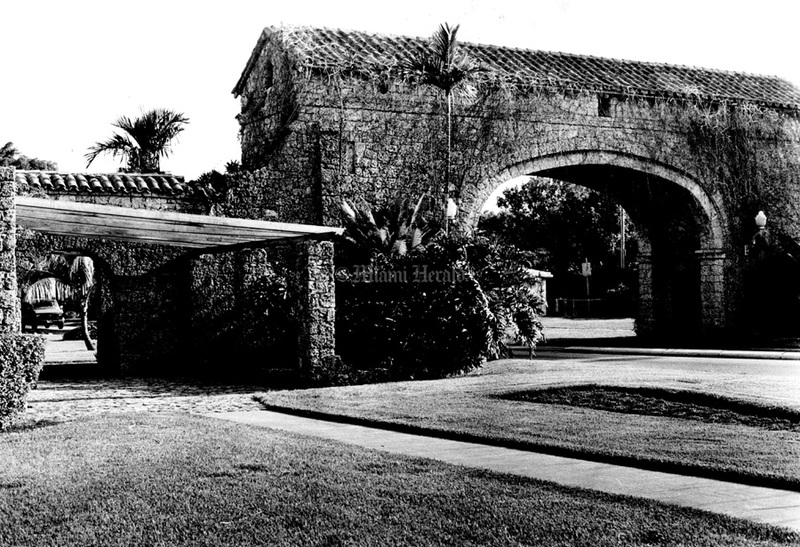 4/29/1984: Coral Gables Entrance. Corner of Red Rd. and 8th St.
Undated: Coral Gables Public Library. 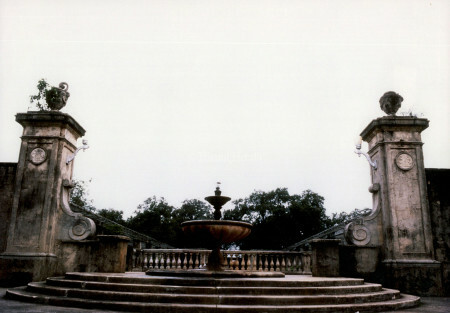 Undated: Coral Gables Granada Fountain. 2/23/1989, Beth A. Keiser/Miami Herald: Decorated with wood on the outside and build closely together, houses in the French Normandy villages in the Gables is reminiscent of a past Europe. 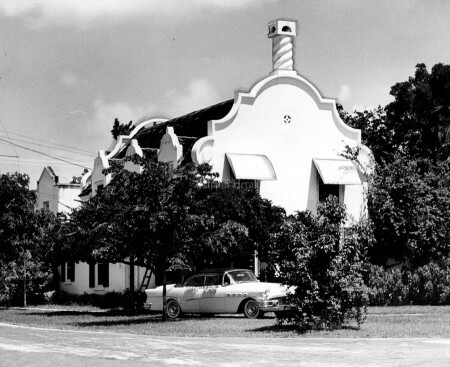 9/20/1959, Lewis McLain/Miami Herald: Chimney With a Curl on Top Is South African Dutch. The square, white, boxed staircase really is Dutch, she points out. And in back is an old-world garden leading to what used to be the servants quarters, now fitted out into small apartments. The Blitch home was. once, occupied, by the late R. K.Cooper,, once governor of Ohio. 11/8/1956, Bob East/Miami Herald: Coral Gables Police Department and Swat Team. Frances McVicker, Shirley Searle and Capt. 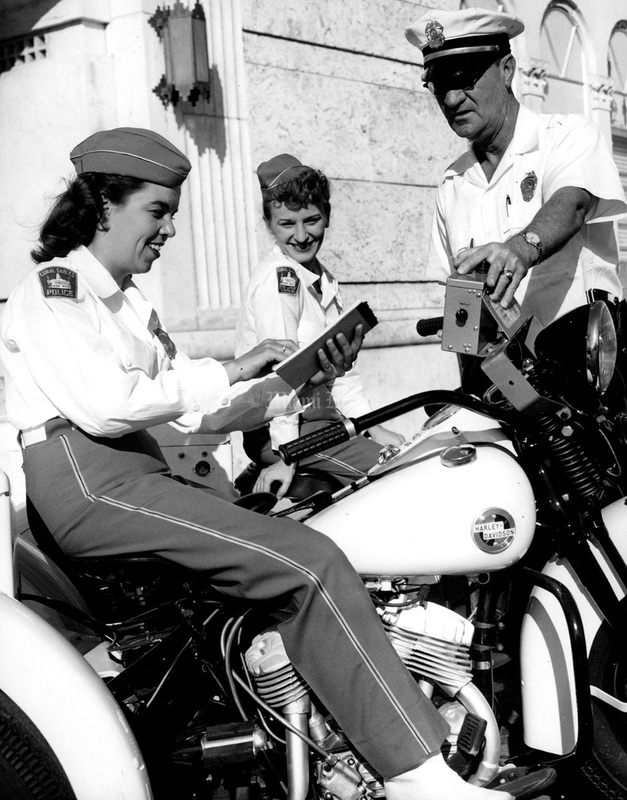 Floyd Brasher go over procedure in Coral Gables. 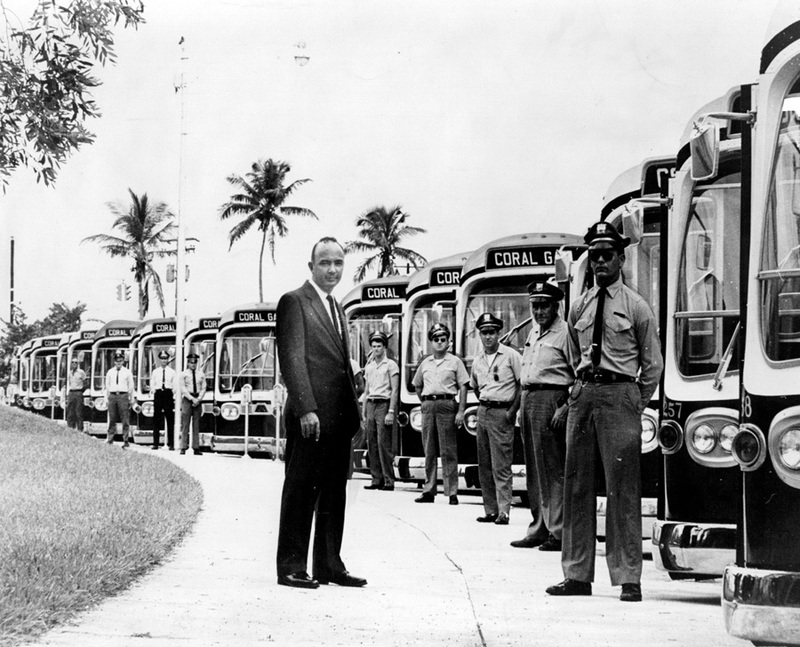 5/13/1966: Transit Director Tommy Hall, with Coral Gables bus fleet. 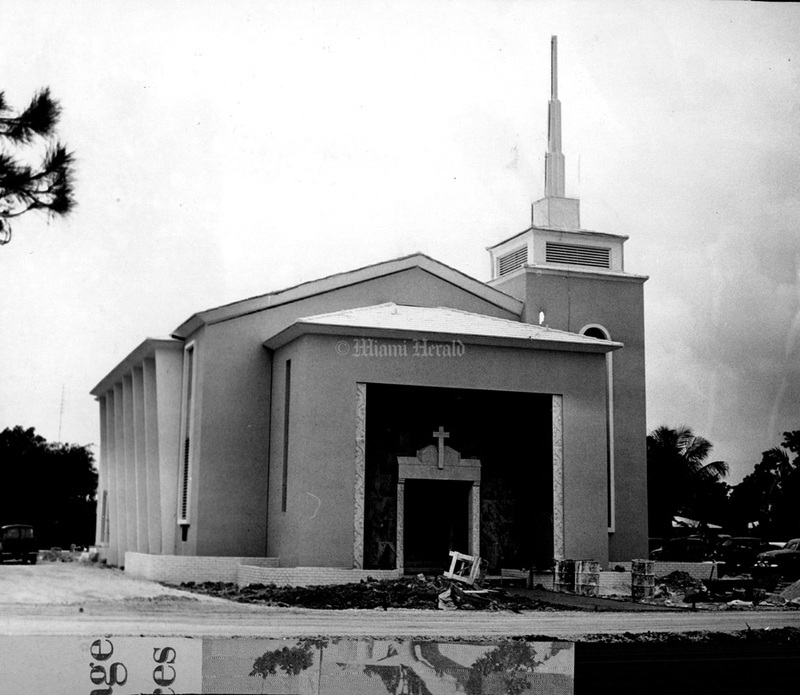 4/5/1958, Doug Kennedy/Miami Herald: New $85,000 Coral Gables Baptist Church ... second story has education facilities for 300. 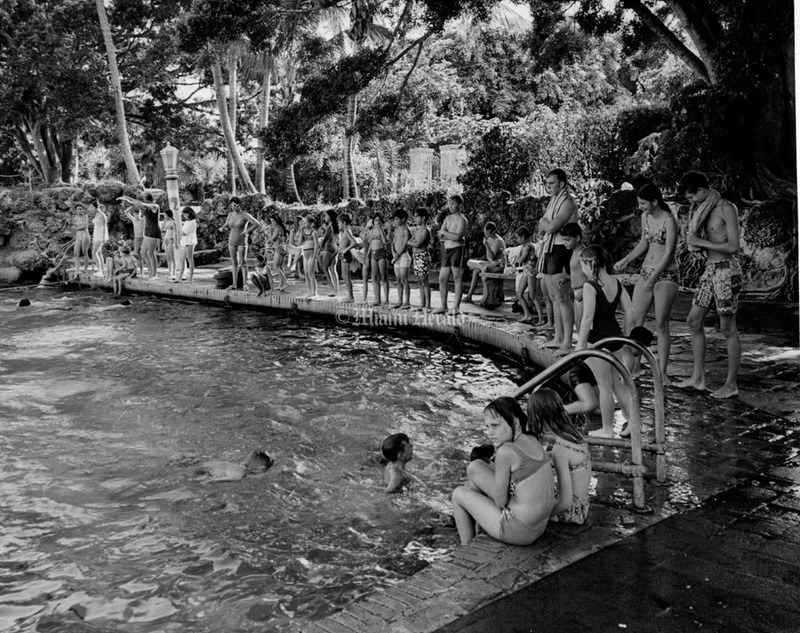 Undated: Miami Herald Staff: Venetian Pool waters can be cool on even the warmest summer day, as evidenced by these chilly "intermediate" swimmers. 1966: Gateways of native rock lead into Coral Gables, Florida's "city Beautiful," carefully laid out by George Merrick more than 40 years ago. The ideally planned community, which is part of Metropolitan Miami, has no billboards, cemeteries and only clean, smokeless industry is allowed. Undated: "U.S. Light House boat". "Angler"; "Happy's Bait Boat". 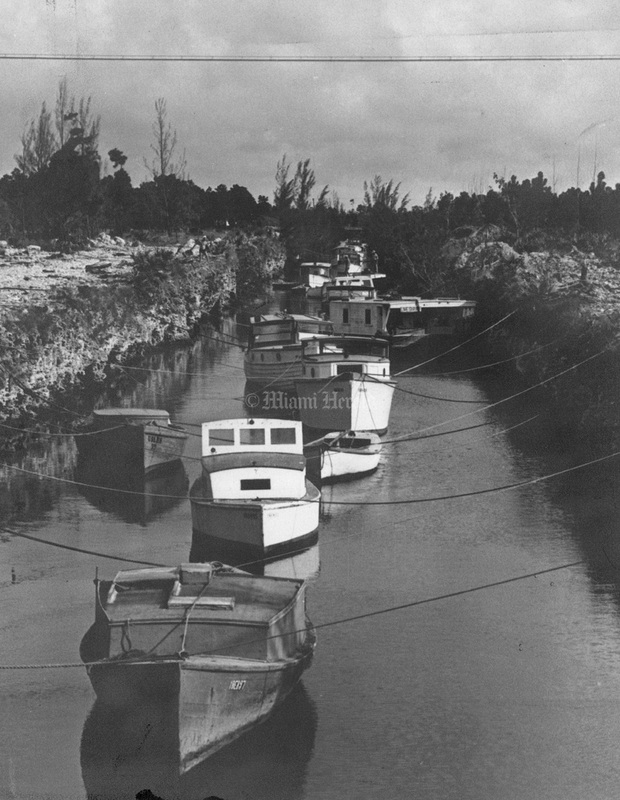 "Scott Perry"; "Mary A"; "Anastasia"; "Typhoon" and many other craft temporarily and safely anchored in the Coral Gables Waterway north of Hardee Road awaiting the "New England Hurricane" which failed to arrive. 9/2/1986, Mary Lou Foy/Miami Herald: Pedro Blanco, 15, left and Johnny Hernandez, 17, enjoy the last day before school started. 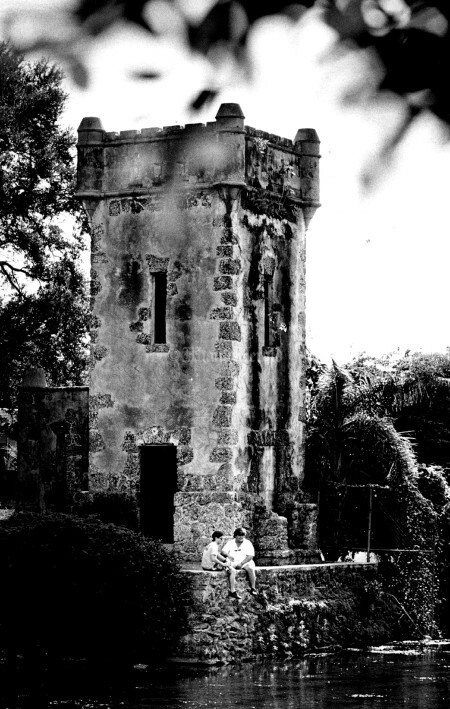 Talking over the past summer as they sit under on of two towers that sit beside the canal. No, sorry, I do not know what the towers are called--it's an unincorporated area. 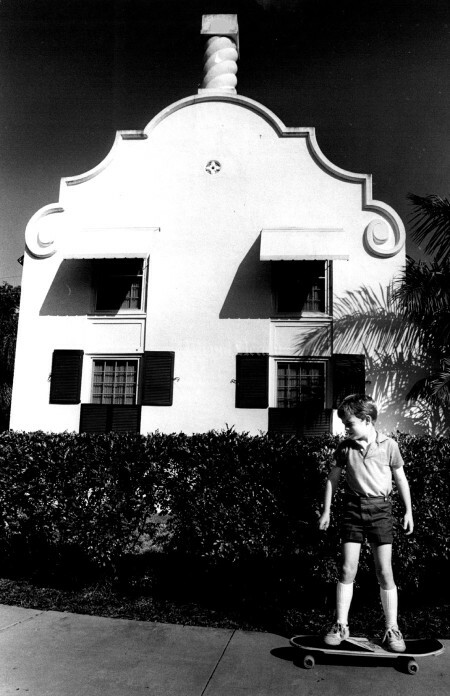 2/13/1986: Justin Beckham - 8, ride a skate board past Coral Gables Dutch South African Villages. 3/26/1978, Susan Greenwood/Miami Herald: Coral Gables French Village. 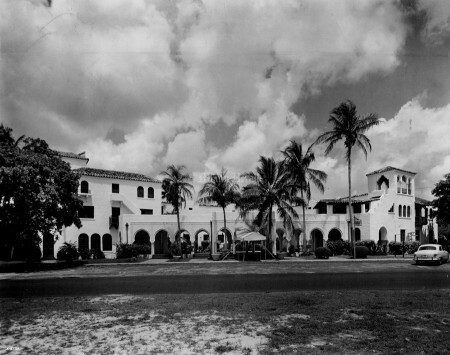 6/12/1949: Stepped in Greater Miami tradition, the Antilla hotel, Coral Gables, has just been purchased by Lee Kay Wilson, veteran real estate man. The transaction involved sale of the hotel property by Ray Brown for $155,000 and sale of the unexpired balance of a 10-year lease by the Stewart Hotel Corp., for $175,000 - an overall total of $330,000. 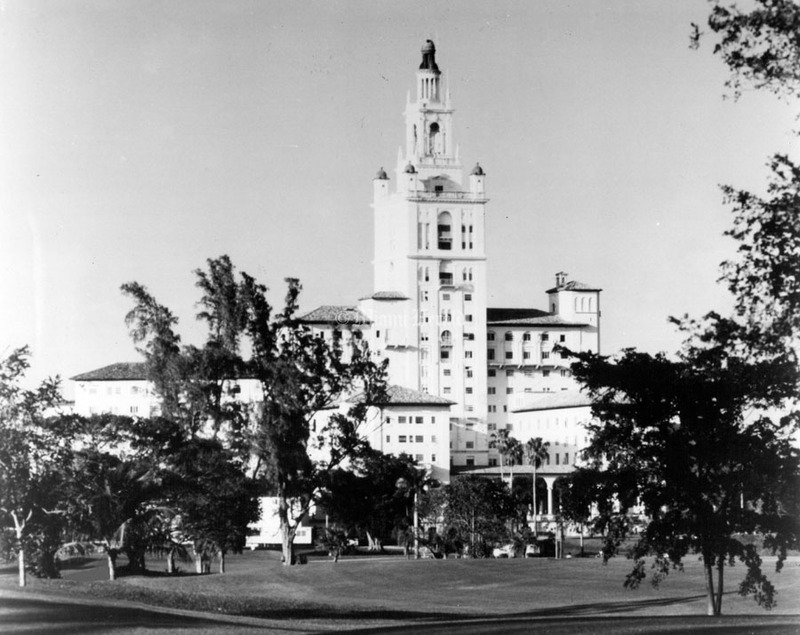 Built by George Merrick during the 1925 boom, the Antilla, in its early days, was headquarters for real estate prospects arriving in Coral Gables from all parts of the nation. It has been in continuos operation ever since. The sale was made by Ivan Brannon of the office of George Deen, Realtor, in completion with Louis Edwards of Coral Gables. 9/21/1992: The Majesty of The Biltmore Hotel in Coral Gables transcends time, serving as a serene reminder of bygone elegance. Built in 1926, the hotel , through a multimillion- dollar restoration, opened in December of 1986 as South Florida's premier showcase of gracious hospitality. 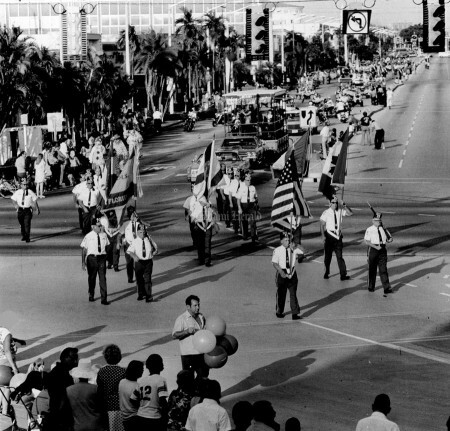 5/3/1975, Roy Bartley/Miami Herald: Coral Gables 50th anniversary parade. 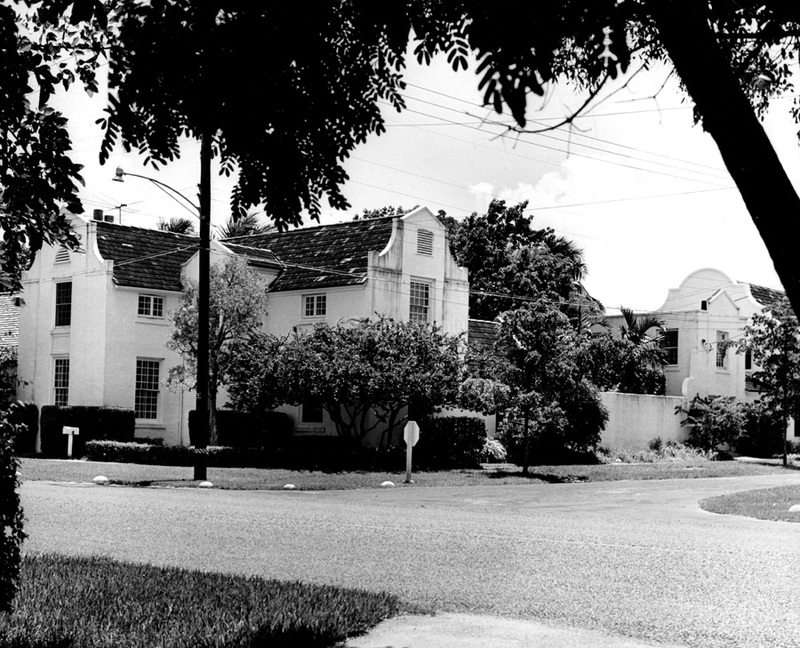 3/1/1979, Albert Coya/Miami Herald Staff: Coral Gables street sign. 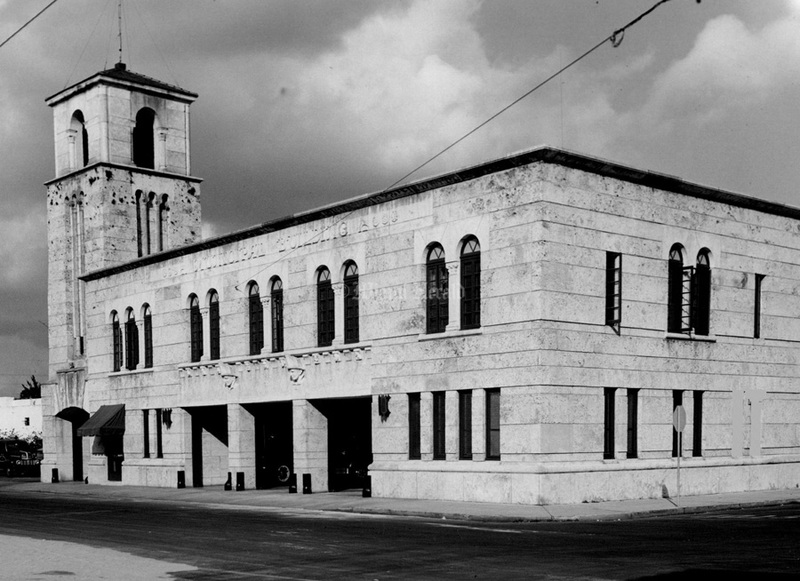 11/22/1951, John Walther/Miami Herald Staff: Coral Gables Police and Fire Department. 8/11/1959, Lewis McLain/Miami Herald: Coral Gables Dutch Village.